Experimental evidence is presented that the focus of the eye tends to return passively to an individually characteristic intermediate resting position or dark-focus whenever (1) the stimulus to accommodation is degraded or (2) when the quality of the image is independent of focus. Based on measurements of the dark-focus with a laser optometer, it is possible to predict the magnitude of night, empty field, and instrument myopia on an individual basis. 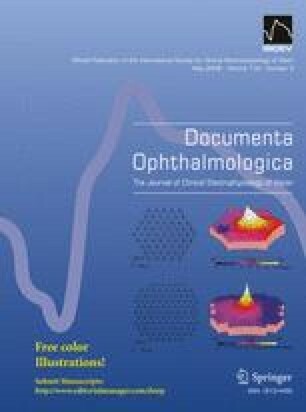 The role of the intermediate dark-focus as a factor in accommodation also provides an explanation for the paradoxical variation of visual acuity with observation distance. Applications to night myopia and night driving are described, and implications for clinical practice are discussed. Supported by grant MH08061 from the National Institute of Mental Health and fellowship. 1F32EY06177 from the National Eye Institute. The authors are indebted to Drs. E. Walker, J. Enoch and E. Campos for suggestions in the preparation of the manuscript, and to R.L. Owens for assistance in obtaining data.